To paraphrase Randy Newman: LA… we love it. 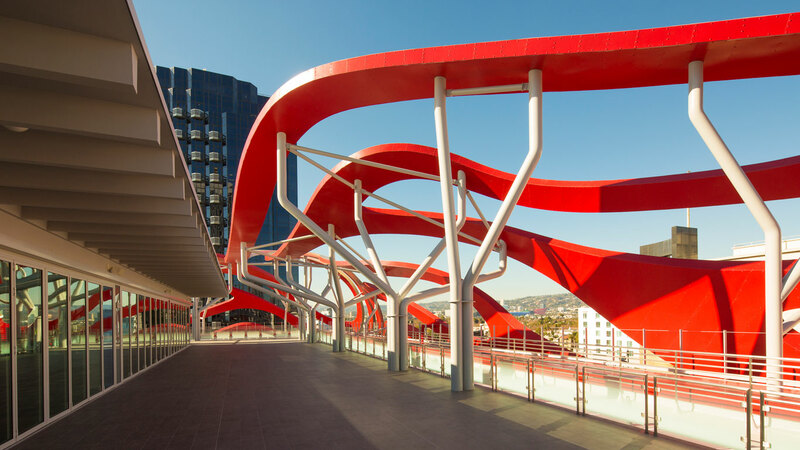 Or rather, we love the look of the Petersen Automotive Museum, which sits at the gateway to Los Angeles’ famed Museum Row. 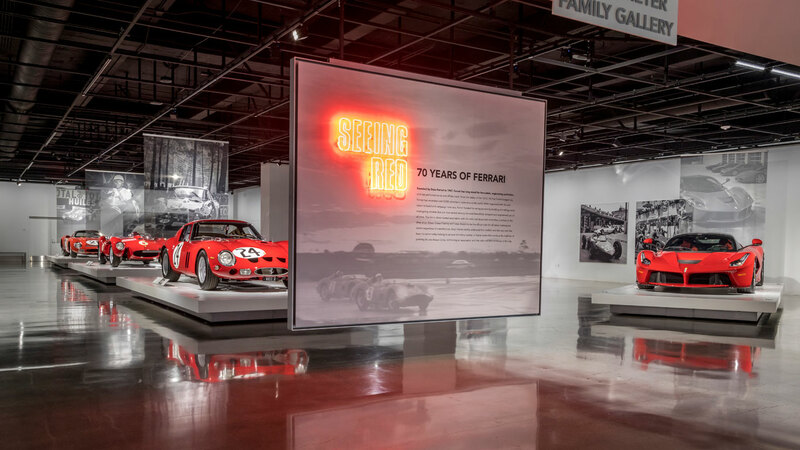 In conjunction with Porsche Cars North America, the museum has just thrown open the doors to its latest exhibition: The Porsche Effect. 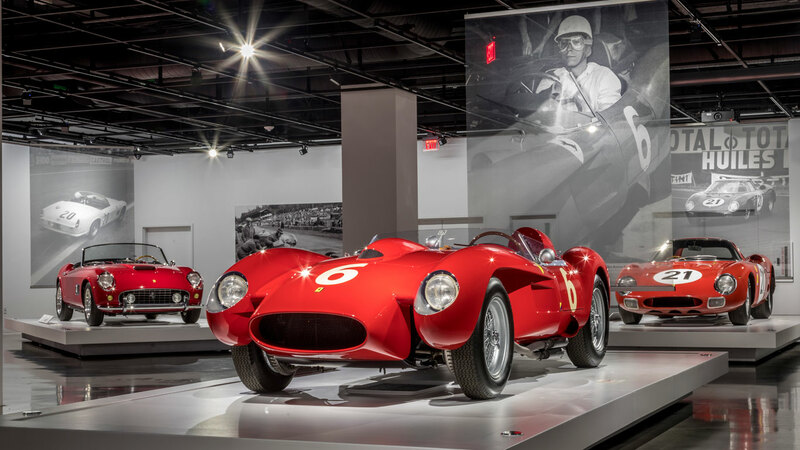 We’ll showcase those 48 cars in a separate gallery, but for now, allow us to take you on a virtual tour of this wondrous museum. 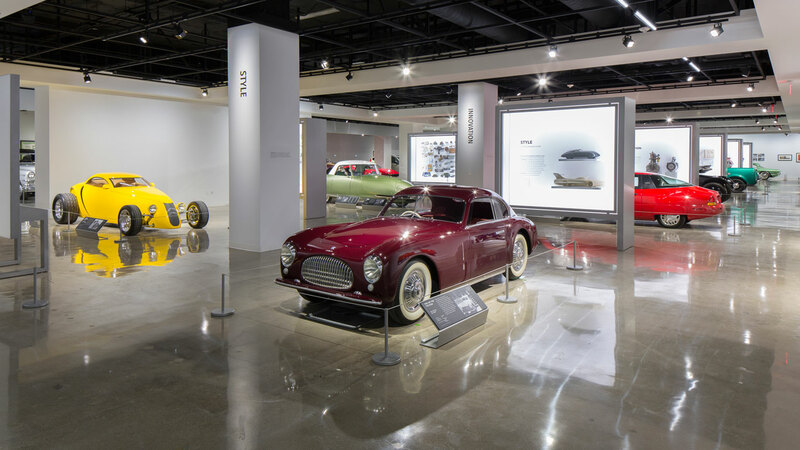 The Petersen Automotive Museum dates back to 1994, but reopened at the end of 2015 following a 14-month and $90 million renovation. Around 95,000 square feet of exhibit space is spread across three themed floors, with visitors encouraged to begin their experience on the History floor, before making their way down to the Artistry level. 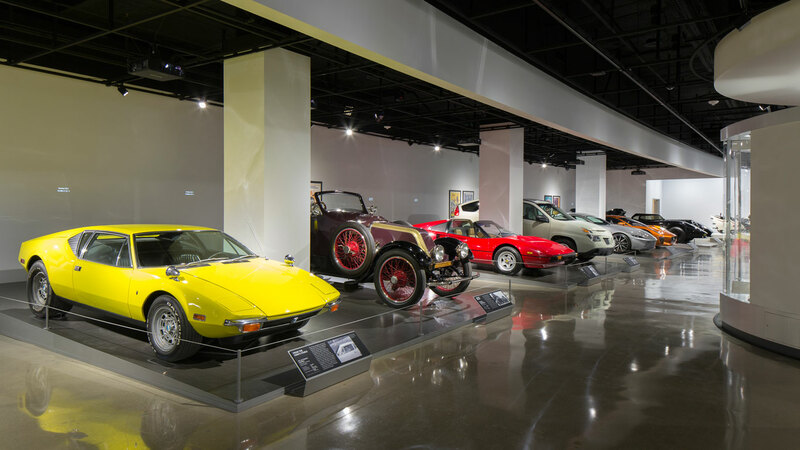 The museum is housed in a former 1960s department store, with the Welton Becket-designed building featuring more than 150 vehicles and 25 rotating exhibitions, including the new display of Porsche vehicles. When you’re done with Santa Monica Boulevard and Hollywood, the Petersen Automotive Museum is the place to hang out. 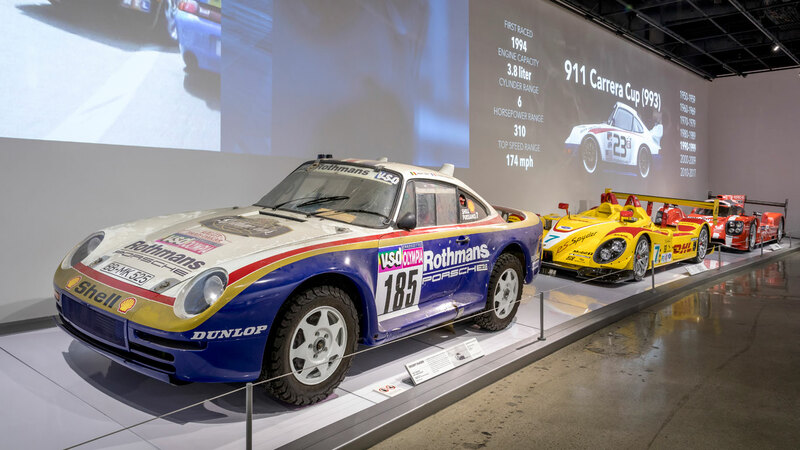 The Porsche Effect – which we’ll showcase in a separate gallery – encompasses five thematic sections, including Elements of Style; Zuffenhausen and Beyond; Extended Families; Innovation through Competition; and World/Image/Object. 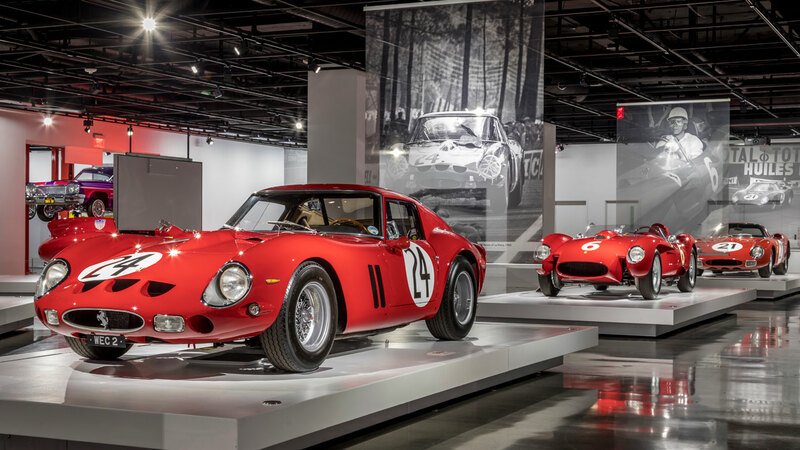 The exhibit will remain at the Petersen Automotive Museum until 27 January 2019. 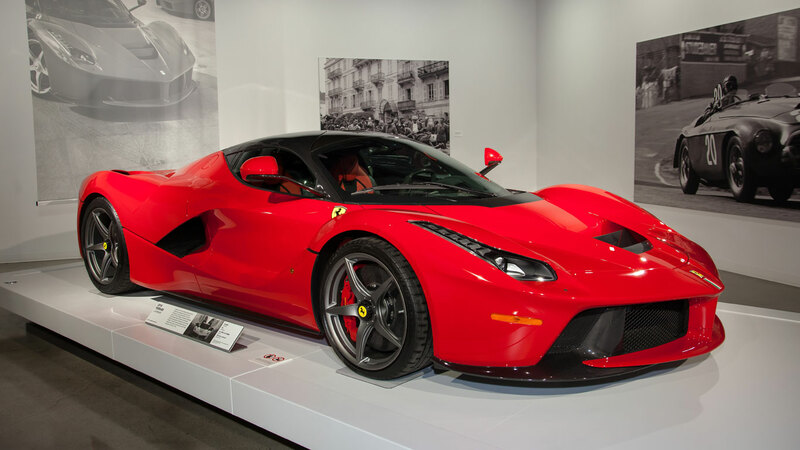 The Seeing Red: 70 Years of Ferrari exhibit does exactly what it says on sign: celebrate Ferrari’s 70th anniversary using only red cars. Eleven of the company’s most significant road and race cars are on display are on display until May 2018, so you’ll need to be quick. 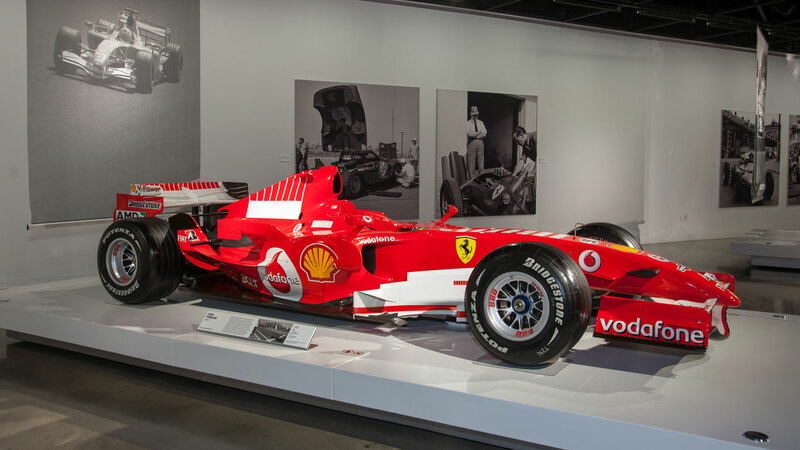 This is the Ferrari 248 F1 car driven by Michael Schumacher in the 2006 Formula One World Championship. The German finished second, 13 points behind the 2006 champion, Fernando Alonso. Schumacher announced his retirement from F1 at the end of the season, but returned in 2010 to drive for the new Mercedes GP team. Bringing things right up-to-date, here’s a LaFerrari from 2014. The hybrid hypercar is capable of speeds in excess of 217mph, while the 0-62mph sprint is polished off in just three seconds. You can see more photos from the Seeing Red exhibition later in this gallery. 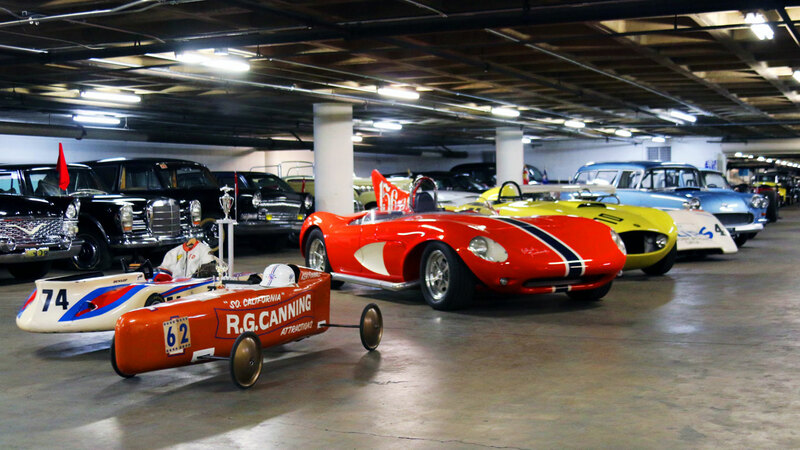 Hidden underground beneath the heart of Los Angeles, The Vault features 120 cars within a working garage. The cars may have been part of the main museum at some point, but there’s nothing quite like seeing them in a subterranean environment. Access to The Vault is via a guided tour and is in addition to the general admission ticket. 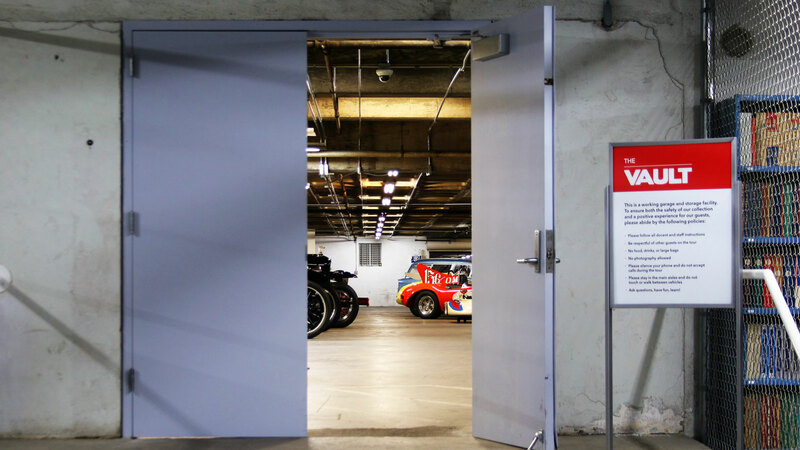 What you’ll find in The Vault depends on the date of your visit, but it could include historic race cars, vehicles owned by heads of state, cars on loan to the museum, and some awaiting restoration. 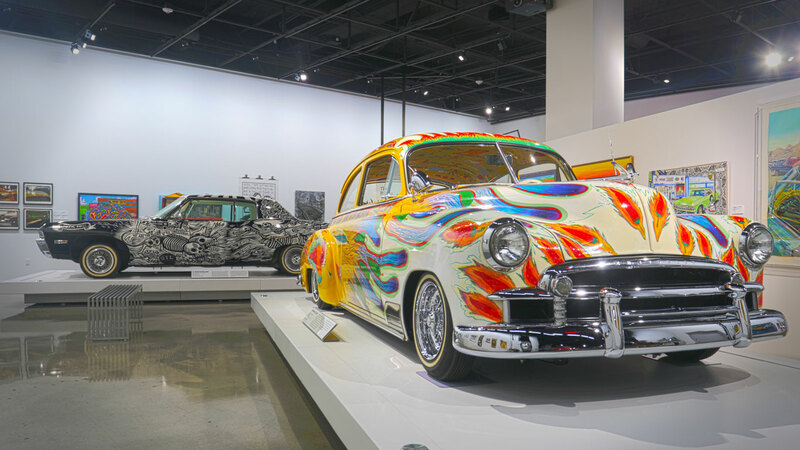 The Perspective Gallery houses an exhibition focused on our love for the automobile, especially in Southern California, where residents embraced the independence offered by cars. 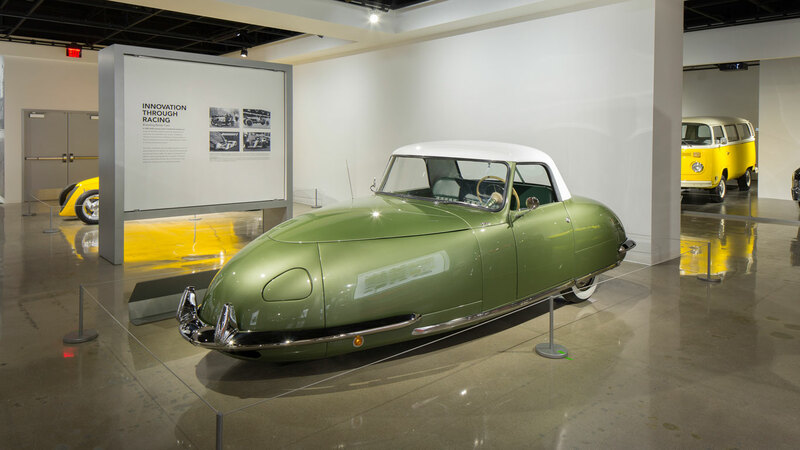 This is a Davis Divan, a two-door, three-wheeled roadster dating back to the 1940s. 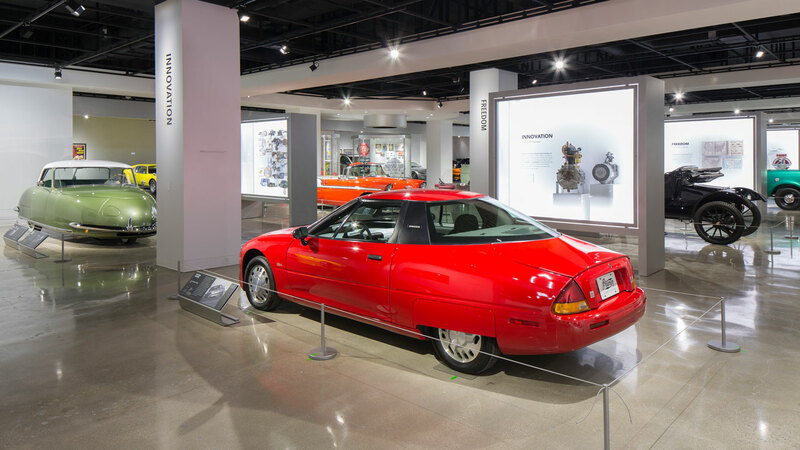 This is the GM EV1: the first mass-produced electric vehicle built by a major manufacturer. The EV1 was way ahead of its time and available on a lease-only basis. Sadly, after four years, GM pulled the plug on the project and all but 40 were sent to the crusher. Loyal fans of the pioneering EV were also left feeling crushed. Still on the third floor, this is a Cisitalia 202. Consorzio Industriale Sportiva Italia (Cisitalia) began building single-seat race cars after World War II and launched the 202 in 1947. The Pininfarina-designed coupe is considered to be one of the most beautiful cars of the era, but only 170 were built before the company folded. Moving down to the second floor, here’s Lightning McQueen from Pixar’s Cars animated movie franchise. 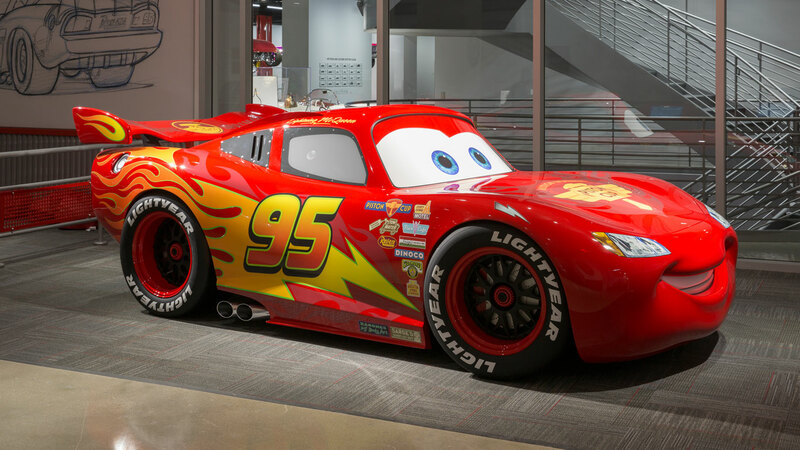 According to director John Lasseter, McQueen’s shape was influenced by the C6 Corvette and Ford GT40, along with sports stars Muhammad Ali, Charles Barkley and Joe Namath. 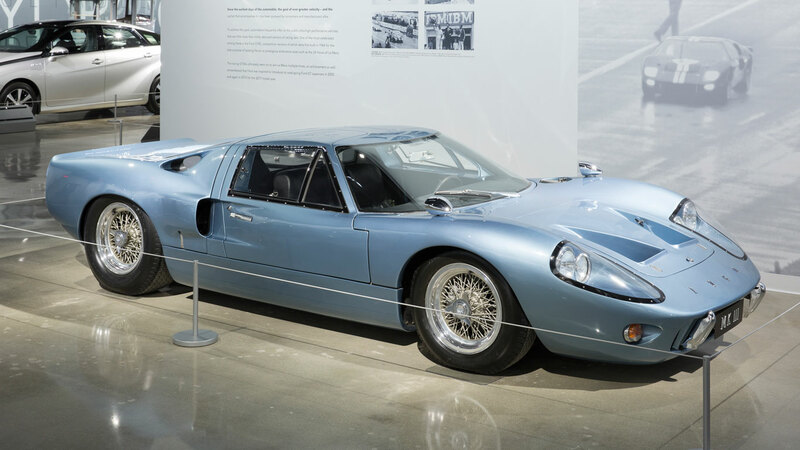 Speaking of the Ford GT40… It’s a MkIII road car from 1967, originally owned by Austrian conductor Herbert von Karajan, and is one of just seven built. 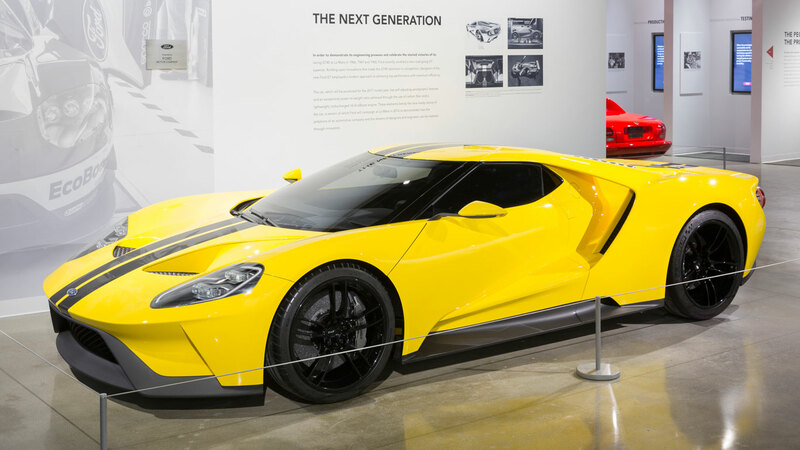 The GT40 is joined by its modern-day equivalent: the Ford GT. 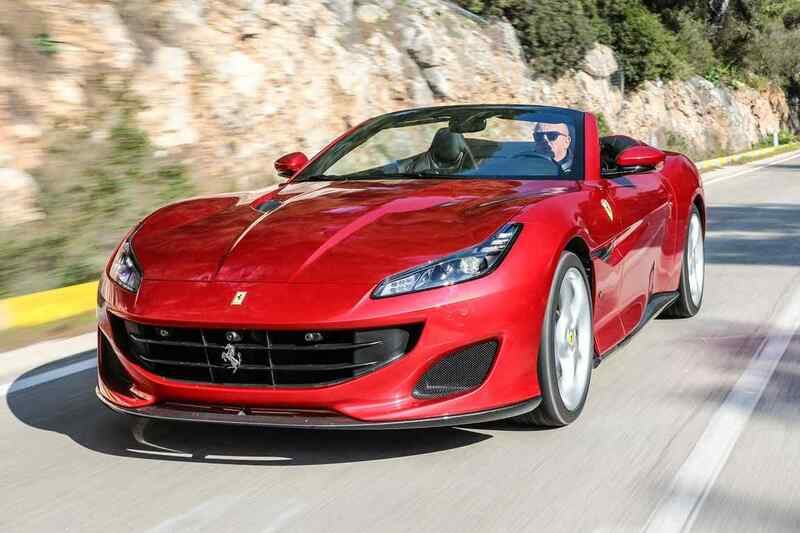 The next-generation supercar was unveiled at the 2015 Detroit Auto Show and is powered by a 3.5-litre V6 Ecoboost engine producing 656hp and 550lb ft of torque. 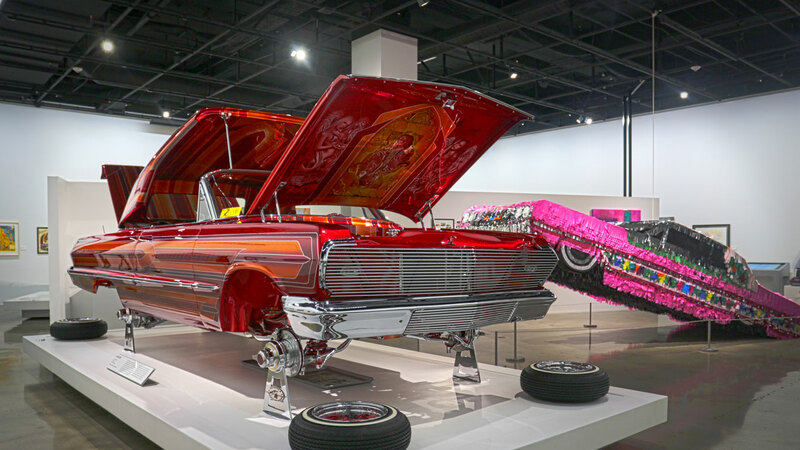 Once on the first floor, you’ll find a celebration of the lowrider, in an exhibition called The High Art of Riding Low. 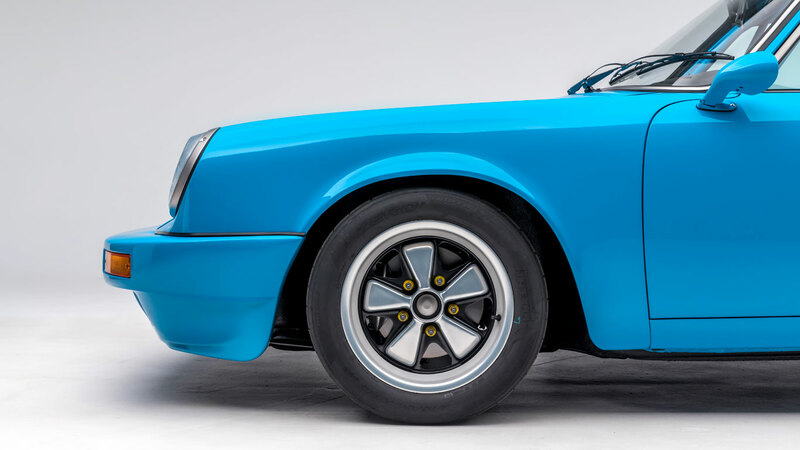 Located in the Armand Hammer Foundation Gallery, the exhibition – which runs until July 2018 – examines the diversity and complexity with which 50 artists visualise and celebrate the lowrider through vehicles, paintings and sculptures. 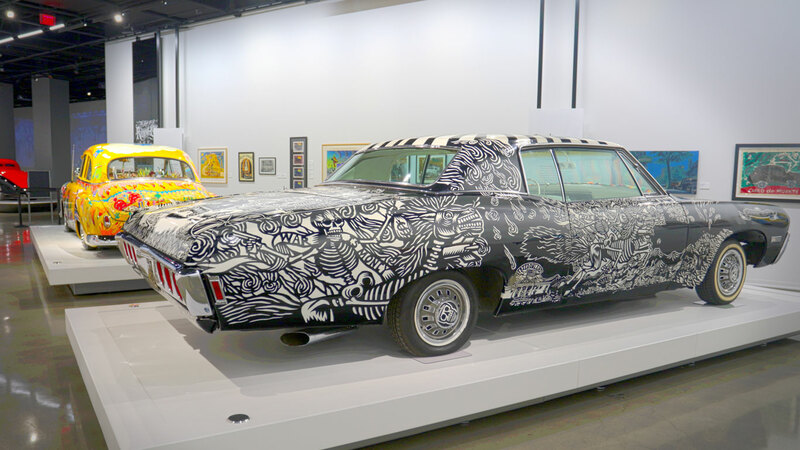 Using pinstriping brushes and lacquer-based textile crayons, artist Gilbert ‘Magu’ Luján transformed his family’s 1950 Chevrolet sedan into a lowrider with what he called “a lighthearted kind of folk art narrative”. Created in 2006 by artists John Jota Leanos and Artemio Rodriguez, El Muertorider is an art installation that addresses themes related to the culture of lowriding. The artwork employs evocative imagery taken from Western art history and Day of the Dead. 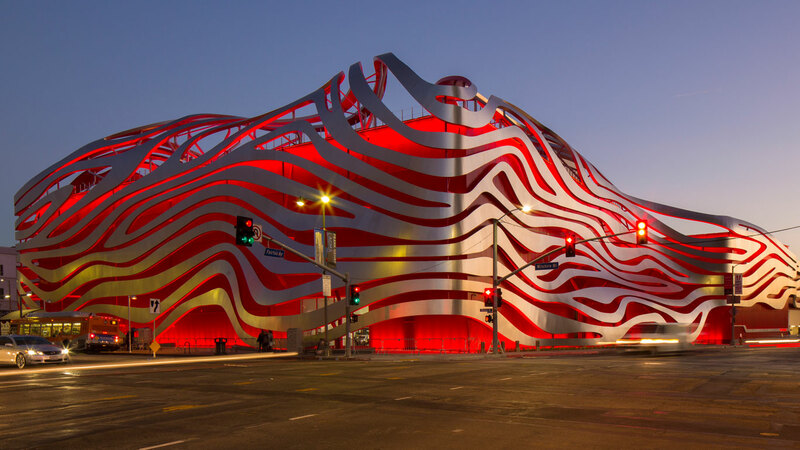 The Petersen Automotive Museum is open daily from 10am until 6pm and is located on Wilshire Boulevard, Los Angeles. Vault tours are available on a first come, first served basis, and tickets can be purchased one month in advance. Keep clicking for more photos from inside America’s best car museum.